Our life-saving work relies on the money you give us. Donate now and together we can save more lives by beating cancer sooner. Over the past 40 years our researchers have made great progress in the fight against cancer, and survival has doubled. From studies of the intricate workings of molecules within cells to the results of large-scale clinical trials of treatments, every result helps to deepen our understanding of cancer and find new ways to fight it. Find out more about our research by topic below. Find out more about our research into what makes cancer start, grow and spread. Understanding the fundamental biology underpinning cancer is vital for finding cures sooner. Find out more about the role our scientists, doctors and nurses have played in getting many of the world’s top cancer drugs to patients. Find out more about some of the clinical trials we support. Clinical trials are vital for improving cancer treatments and making them available to patients. Spotting cancer early improves the chances of successful treatment. Find out more about what we're doing to ensure that more people are diagnosed at an early stage. Immunotherapy boosts the immune system so it can fight cancer. Read more about our research into this pioneering type of treatment. Find out more about our research into new technologies that could change the way patients are treated in the future. Find out more about our research to develop personalised medicines, helping to match the best treatment to each individual patient. Find out more about what research we're funding to uncover the causes of cancer and discover new ways to help reduce people's risk of developing the disease. Read more about how our research is making radiotherapy more effective and kinder. 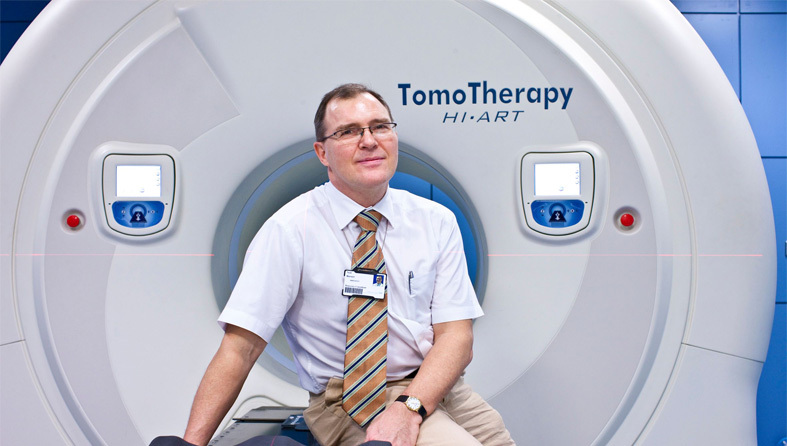 Millions of people worldwide benefit from radiotherapy every year. Want to find more information about our research or cancer? Over the last 40 years, cancer survival rates in the UK have doubled. In the 1970s just 1 in 4 people survived their disease for 10 years or more. Today 2 in 4 survive. Our ambition is to accelerate progress and see 3 in 4 patients surviving the disease by 2034. Cancer Research UK is a registered charity in England and Wales (1089464), Scotland (SC041666) and the Isle of Man (1103). A company limited by guarantee. Registered company in England and Wales (4325234) and the Isle of Man (5713F). Registered address: Angel Building, 407 St John Street, London EC1V 4AD.